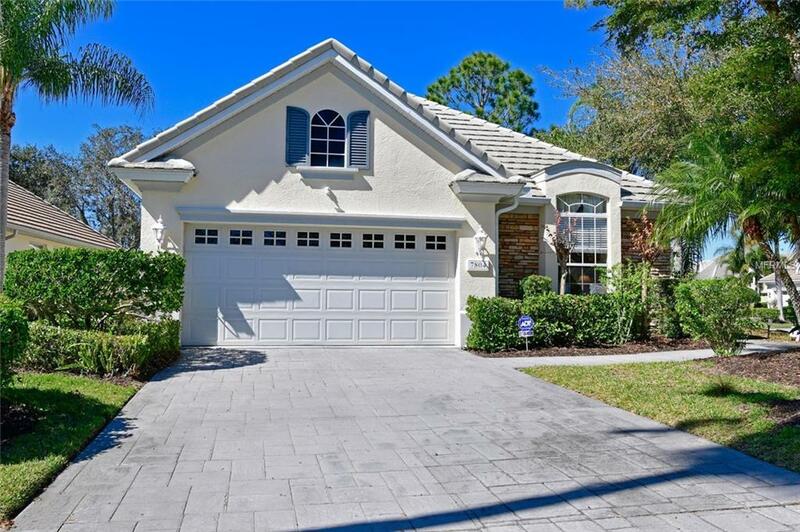 Immaculately maintained 3 bedroom, 2 bathroom home located in Lakewood Ranch's premier Country Club neighborhood. 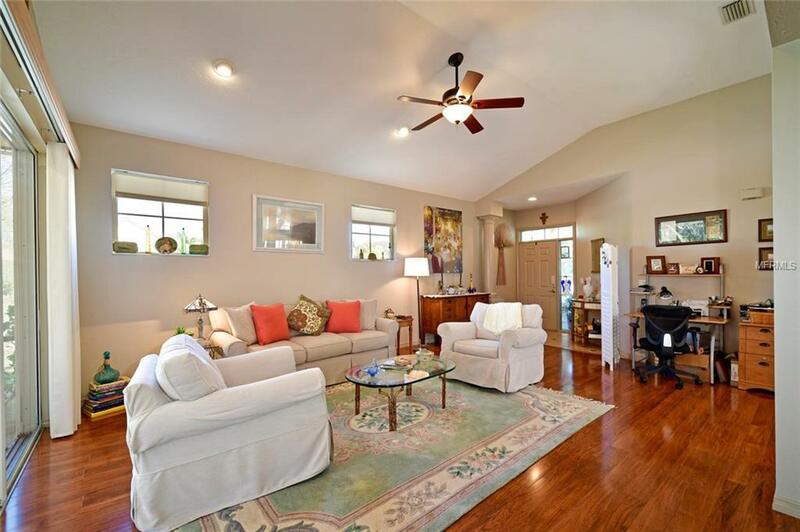 Some of the features in this impeccable home include a new HVAC AC/Heat system (2018) with a warranty, plantation shutters, engineered hardwood throughout, updated kitchen with granite countertops, newer stainless appliances, and stylish chandeliers in both the dining room and kitchen. The spacious master bedroom includes a custom walk-in closet with both wood floors and shelving and a luxurious bathroom complete with a garden tub. The privacy afforded by the 3rd bedroom is ideal for visitors or has the versatility to be used as a den, office or sitting room. A set of French doors leads out onto an inviting courtyard space. 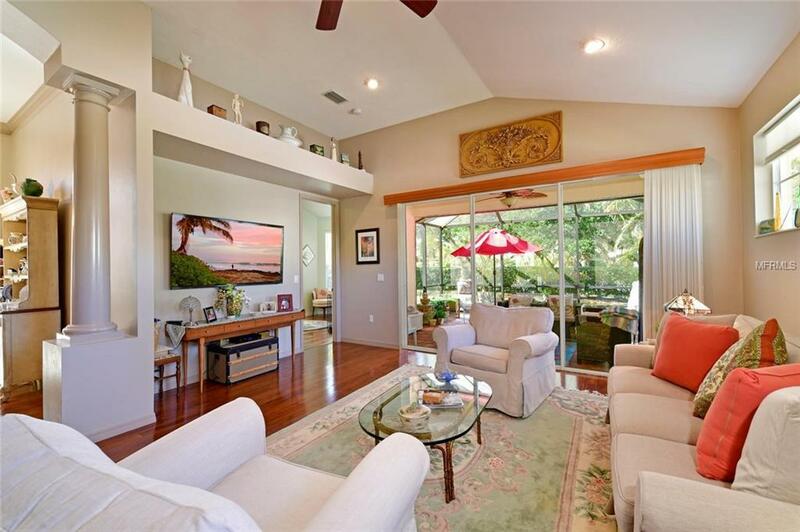 The vaulted ceilings, abundance of windows and open floor plan create a sun-filled home that is both elegant and functional. 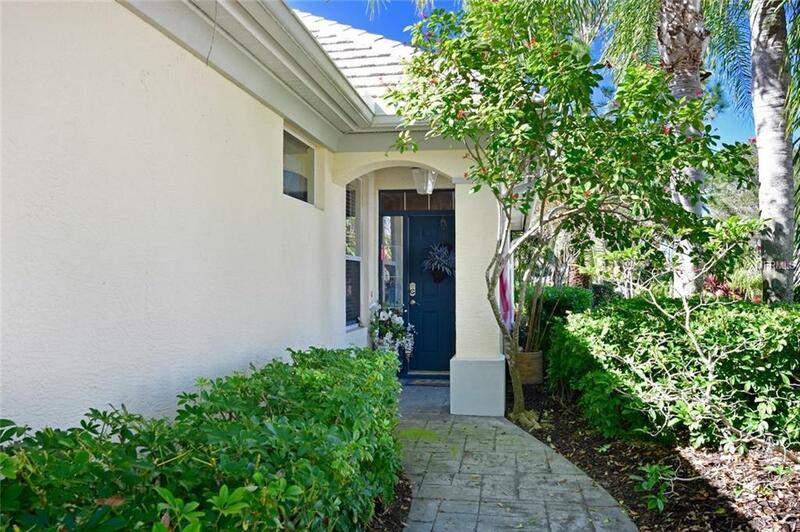 Enjoy the tastefully landscaped view from your lanai and walk only a few steps to the sparkling community pool. Life is grand in this guard gated, maintenance free golf community where golf and social memberships are optional but not required. Seller will pay 6months of HOA fees. Lanai furniture included. Welcome home! Pet Restrictions Please See Hoa Rules And Regulations.